Many little girls dream of royalty, but few get the opportunity to experience it. In February, Dr. Janice T. Sanchez (BA Elementary Education 75) became one of those lucky few. 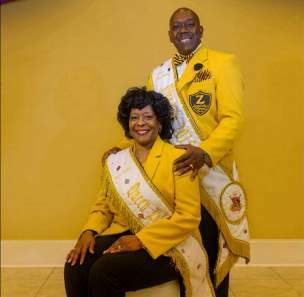 Sanchez was named queen of the Zulu parade in which she would accompany husband Andrew "Pete" Shanchez Jr., the 100th king of the Zulu Social Aid and Pleasure Club. Queen Sanchez, who grew up watching and trying to get coconuts at the Zulu parade, attended Booker T. Washington High School before earning her BA in Elementary Education at the University of New Orleans and her Ph.D. in mathematics and education at Southern University. Now an educator at Benjamin Franklin Elementary School, she made use of multiple speaking engagements at local schools to emphasize the importance of education in improving one's quality of life.